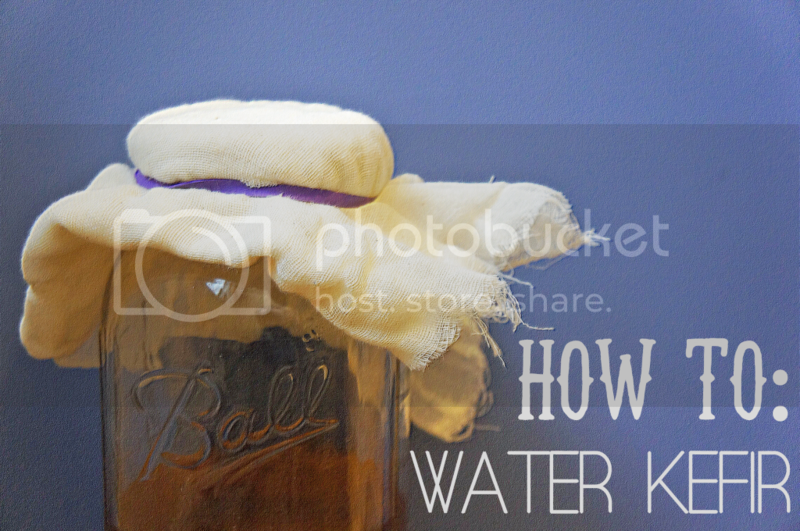 So let's talk water kefir for a second. In short: fermented sugar water--but don't worry. The water kefir grains eat up the sugar and the longer you ferment the water, the more sugar is eaten up; so it's not like you're gulping down teaspoons of sugar (gross). BILLIONS of bacteria. You know the pricey probiotics you buy at the store? They have only a fraction of the probiotics in homemade water kefir. Basically, you're supposed to have about 6 POUNDS of good bacteria in your gut. If you're filled up with good bacteria, the bad bacteria aren't able to colonize because the good guys outnumber them and the good guys shall prevail! AKA, you won't get sick. You've probably seen this at Trader Joe's or maybe you've tried the Lifeway brand at your regular grocery store. Milk kefir is awesome (and you can make that at home too)! But some people can't have dairy due to an allergy or sensitivity (Carter!) so water kefir is a great alternative. Also, if you have a picky kid who doesn't like yogurt--water kefir is much easier to disguise. 6. Drink it up and do it all again! You only buy the grains once and use them over and over. If you're lucky and your grains keep on multiplying, share with friends!